Nowadays sushi is one of the most popular foods for children. Because it is tasty, healthy and easy to eat, so it’s good for lunch or perhaps as a snack. 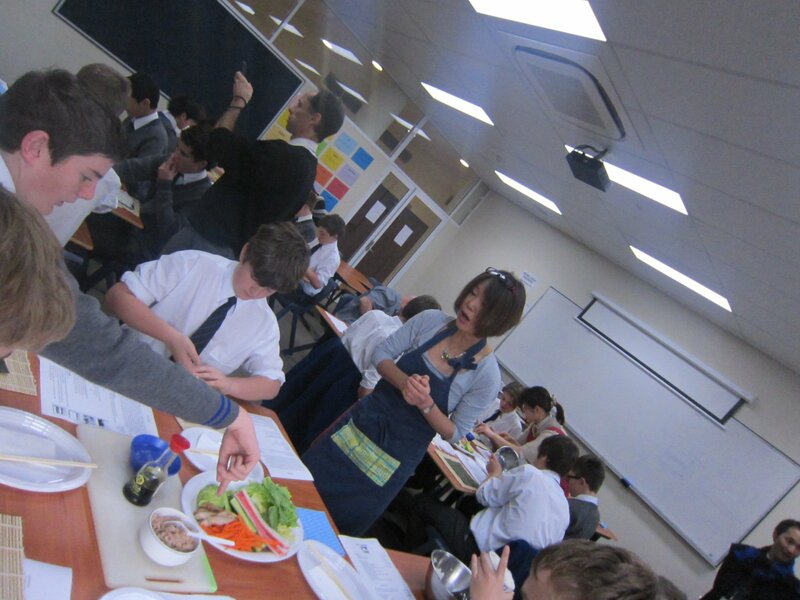 We can offer a sushi making workshop for school students, including both primary and high school students. The minimum number is 10 students. 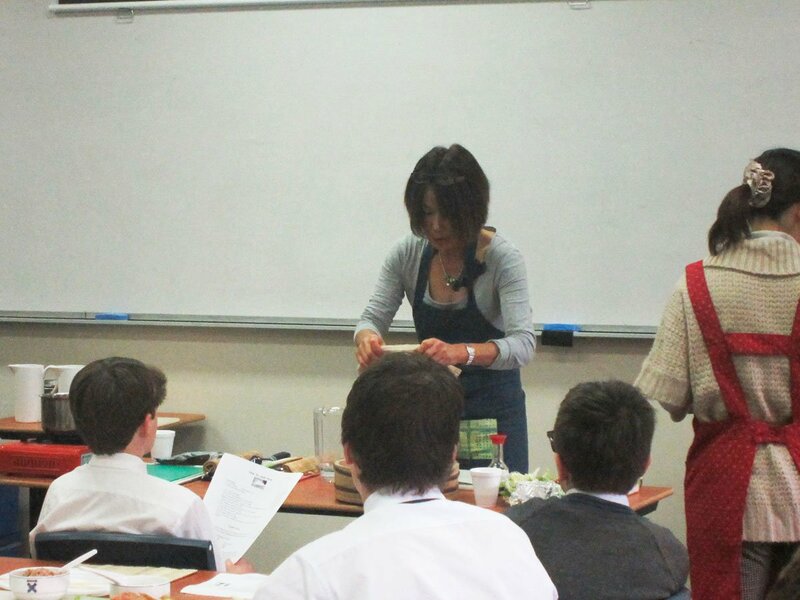 The workshop is hands on and includes demonstration, recipe and makisu(bamboo mat) and making their own sushi rolls. Also introduced is an explanation of basic Japanese ingredients and eating etiquettes. There are two type of workshops available. These make standard sushi rolls. Including recipe, two sushi rolls made by students, makisu(bamboo mat). Students make a creative sushi roll as in the the pictures. Including recipe, one rose sushi roll and two inside and out roll sushi made by students, makisu(bamboo mat). Duration; approx. 1hour and 15 minutes. Copyright (c) 2012-2018 Sumi's Kitchen. All Rights Reserved.